We were at my house eating dinner. I had reheated a taco while she was eating fish sticks. During dinner is the prime time of the day to discuss what our plans are over the next few days before watching an episode (or two) of "Game of Thrones." She looked at me and asked what we were doing Sunday. I looked back and said "well...after church, I want to see the new Pokémon movie at 12:55pm." She looked at me and I could see an internal conflict forming; this was not a movie she wanted to see. In fact, she had never seen any of the previous movies or even an episode of the TV show. She enjoyed playing Pokémon GO on a near daily basis, but otherwise had little connection to the world or the characters. I was prepared for her to reject the offer and suggest we take separate cars to church that morning (it wouldn't be the first time). Come Sunday I asked her what she wanted to do about the movie. We would have to leave directly after church because service got out too late for me to drop her off. If she wanted to take her own car she could have lunch with our friends and I would meet up with her when the movie was finished. She declined and gave me her offer: she would go with me to see "Pokémon The Movie: I Choose You" so long as I went to the gym with her afterwards. That, ladies and gentle, is what relationships are all about: compromise. And love. And giving your significant other the corner fry when he/she asks for one. The point is, Katie was coming to the new Pokémon with me. It would be my sixth installment of this franchise I'd be seeing in theaters (13th overall) and her first. That did beg the question though of how she would react to it? Would she enjoy it or find it strange? Was playing Pokémon GO enough to endear her to the franchise? Would it be too confusing? By all accounts this particular movie was a retelling of the origin so...would that help? We went to the theater and there were two things on her mind: the bathroom and popcorn. We bought our tickets earlier with our MoviePass cards and received an exclusive Ash's Pikachu trading card for the Pokémon Trading Card Game. It had been so long since I went to a Pokémon movie in theaters I completely forgot that these movies came with trading cards. I immediately took a picture of mine while she put it in her purse without really looking at it. The early signs were there that she was going to have a miserable time. After our tickets were ripped she immediately went to the bathroom as I observed a large crowd of fans walking into the theater (with Pikachu dolls in tow). When she exited I handed her my Stubs card so that she could get a free popcorn and drink upgrade while I went to grab seats. I managed to get great seats and sat down feeling like a kid again as commercials for other Pokémon shows (and flashbacks of "Pokémon Red" for Game Boy) flashed on the screen. Around me were lots of adults and kids. 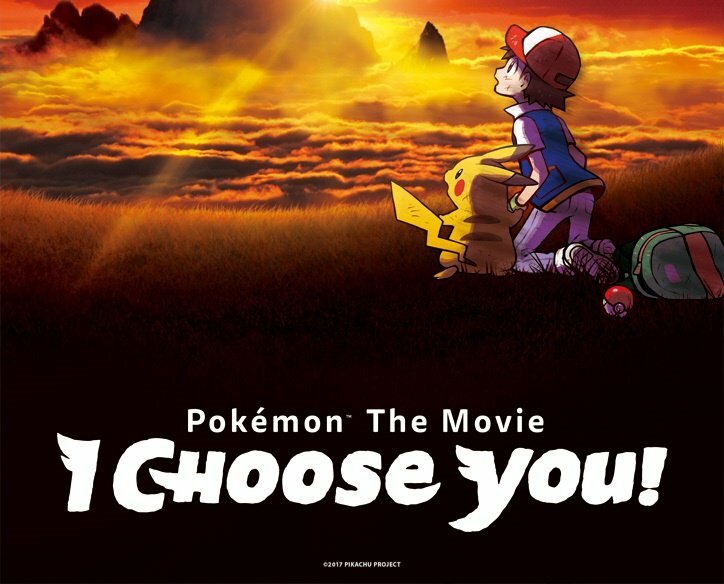 My experience for this movie was much different from my experience of seeing "Pokémon: The First Movie" though. I remember seeing the first Pokémon in 1999. My brother, friends, and moms all bought tickets for the opening day of the movie. Free trading cards were handed out and we sat down. All around us were excited kids ready to see their favorite creatures on the big screen. Also in the theater were many confused parents, wondering what the fuss was about and dreading what they had gotten themselves into. It was a classic case of kids dragging parents to the movie and the parents silently resenting their kids for it (and maybe even secretly re-evaluating if parenthood was worth it). 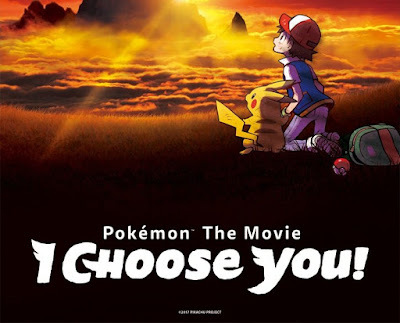 The atmosphere was completely different for "Pokémon the Movie: I Choose You." The movie was celebrating 20 years of the franchise existing, and the tables had turned. Many of the kids who saw the first movie in theaters were now adults themselves, and they came gladly to this movie. What's more, most were parents, and they took their own offspring to the movie (with some introducing their kids to the series through it). Both young and old were looking forward to seeing the new adventures of Ash and Pikachu. Except one: Katie. The film was about to start and my girlfriend was no where to be seen. She was texting me about popcorn sizes, what drink to get, and if I preferred seasoning (and what kind). As someone who loves going to the theater it bothers me when someone seems more interested in the snacks than the movie experience, but I had to keep reminding myself she had no connection to any of this. She was too busy Irish dancing when she was young, and she simply had no interest in this franchise. She played games but didn't have a Game Boy. She was, in every definition of the term, 'doing me a solid.' That, and, she loves me a lot, so she wanted to be with me. Also, I should say that she conceded to seeing this with me but NOT "My Little Pony: The Movie," so somewhere between those two there is a line she will and will not cross! Then, the lights went down, the movie began (no previews! ), and shortly after Ash and Pikachu meet and go on their journey the classic theme song plays. The audience erupted into applause as Katie shifted back confused as to what just happened. The movie continued to play and I would occasionally look over to see if everything was alright. She didn't seem bored so I would always look back at the screen. A few times she even laughed and at one point went "aww" to suggest she was emotionally attached to what was happening on screen. As I started writing the review in my head (which will be published soon I hope) it dawned on me that the movie had largely captured why everyone loved this franchise and did so in a way that was approachable to new comers (something the very original movie failed to do in either America or Japan). When the movie ended people lingered as the credits rolled. Many with tears in their eyes for what they considered to be a great nostalgia trip. Now it was time to look at Katie and ask the million dollar question: did you like it? I didn't get a chance to ask because she almost immediately claimed how cute Pikachu was. She then went on to say she enjoyed it much more than she thought she thought she would. 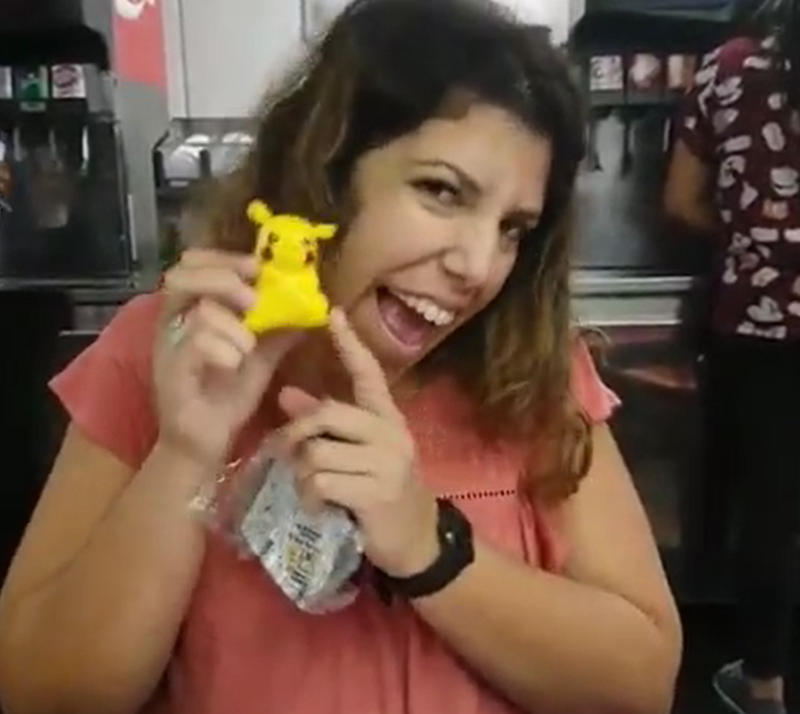 She didn't care for Team Rocket much (which, in all fairness, could be because they didn't add anything to the final product), but she liked the story, the colors, thought the action scenes were surprisingly intense at times, and she really, REALLY loved Pikachu! While I doubt she will be watching the show on her own terms anytime soon, she got a little twinkle in her eye when I suggested we could watch the TV show as a family one day when we had kids.